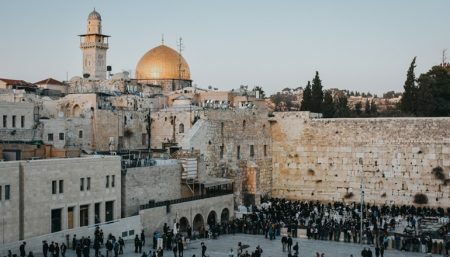 Priding itself on offering a “charming, rustic atmosphere in the heart of Jerusalem,” the Little House in The Colony is a 22-room charming B&B that offers a full Israeli breakfast, free WiFi and the close proximity of Emek Refaim’s chic shops and hip restaurant row. The historical building was originally built by the Templars in the early 20th century and served as a community space for cinema and special gatherings. Little House in The Colony has a range of rooms for single travelers, couples and families, as well as an attic unit (not for the very tall). Lower-priced rooms are also available, but these are located just above a small movie theater and recommended mostly for night owls and film aficionados. 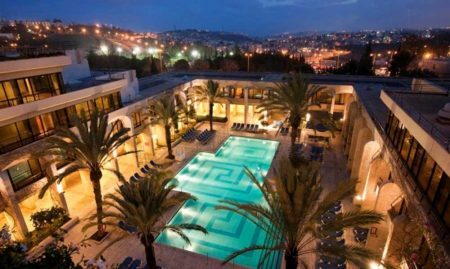 Besides the Smadar Theater downstairs (which focuses on foreign-language and indie films), the hotel is also conveniently located within walking distance of other major cultural institutions including the Khan Theater, the Cinematheque, and the Jerusalem Theater. The Old City is also a mere ten minutes away on foot. There is free public parking on Derech Beit Lechem about 3 minutes by foot from the hotel, as well as a parking lot with both free and paid parking near 5 minutes away near Liberty Bell Park. Parking on Lloyd George Street is only free at night. I recently spent a weekend in Jerusalem, wanted to be in the German Colony area, and didn't want to spend a lot of money. Someone suggested I consider this hotel--which used to be part of the Little House group--as of a year ago, sold to new owners. I booked one of their economy rooms--so honestly didn't expect much. It was OK--bare painted wood floors, old furniture, en-suite bathroom with shower. I had the option of booking with or without breakfast; I booked without, as I had breakfast waiting for me elsewhere. My only real complaint was the noise from the adjoining movie theater--apparently, the reason that my room (#9) was 'economy' was this noise--that went on until about 23:30. The guy I spoke to when I booked swore he told me--he didn't. Fortunately, I was tired enough each day that this didn't really keep me from sleeping. I did ask them to move me when I noted the problem--no other similarly-priced rooms available, and they wouldn't move me to a 'better' room. It's a 1.5-storey climb from the street--no elevator--so definitely not suited for anyone who can't do the steps. Staff were pleasant, but didn't go out of their way. Dirty floor, gray towels, mold, in January, the air conditioner did not work for heating, no carpet was vacuumed. They charged reservation payment twice before we paid for booking. Very old bad furniture and poor repairmen. I spent 3 nights at this wonderful hotel and was sorry I could not stay longer. The rooms are small, very comfortable, neat and clean. 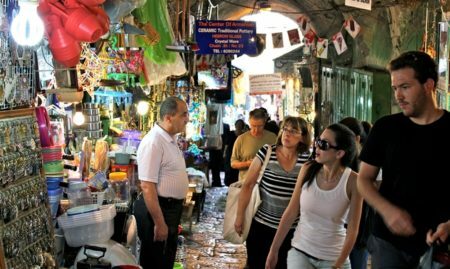 The location is perfect, walking distance from the Jaffa Gate, Shuk, Memilla Shopping Mall, close to bus stops and trains. The staff are exceptional from the manager Joseph to all staff. They are always pleasant and could not do enough to make my stay pleasant. The reception was manned at all times and very helpful. The breakfast was great. There is a book in the rooms on the History of Israel that is really worth reading while there. To everyone at The Colony Hotel, thank you for making my visit to Jerusalem all the more memorable. Gottlieb’s Zimmer (named after the original architect) is a uniquely designed, extra-spacious room with plenty of natural light, overlooking a small, magical street. Studio 11 is a recently renovated room overlooking the garden that features a modern boutique style, plenty of natural light and a range of amenities for your comfort.